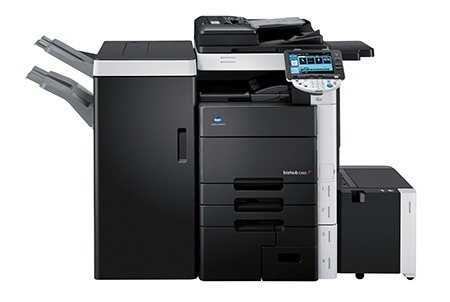 Argon Office Systems specialises in supplying and maintaining high quality award winning Multi-Function Devices (MFDs), photocopiers, fax machines and printers from respected manufacturers Konica Minolta, HP and Ricoh. Argon are proud to be the Island’s exclusive Konica Minolta partner with a 5 Star Accredited Engineering team. Along with these devices are a wide range of software solutions which can improve the efficiency of Document Management and Printer Management. Argon recognise that many organisations do not wish to devote time to considering what printer or MFD is right for them, and having done so investing large amounts of capital to acquire these devices. They want to concentrate on their core business and buy the services they need as they do with many other professional services; PaaS is the Print answer to this. Print as a Service works on the basis that after a consultation period, considering the needs of the business, the volume of printed material it produces, scans and copies, Argon recommend to the organization the right print devices to support these needs. Argon then install the recommended fleet and maintain it providing all toners, servicing, parts and engineering support to ensure that the organization has a complete and reliable print service to enable it to focus on its core activity. There is no Capital Expense for the business, instead it pays an inclusive Cost per Copy charge which includes this all inclusive service from Argon and remote monitoring of all the equipment to avoid staff in the business needing to spend time ordering toners or other parts. PaaS is a simple solution, reducing the time a business may otherwise spend on printer related issues. 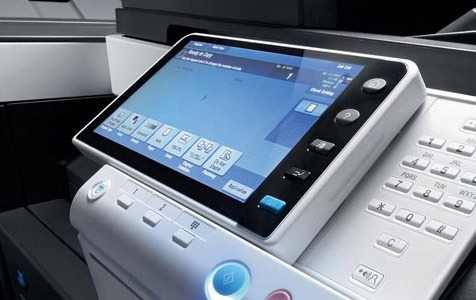 Argon specialises in supplying and maintaining high quality award winning Multi-Function Devices (MFDs), photocopiers, fax machines and printers from respected manufacturers Konica Minolta, HP and Ricoh. Argon are proud to be the Island’s exclusive Konica Minolta partner with a 5 Star Accredited Engineering team. Along with these devices are a wide range of software solutions which can improve the efficiency of Document Management and Printer Management. Managing your document storage, scanning, printing and providing cost-effective solutions can quickly drive down the cost of all the above by centralising your capabilities. A single MFD in a small office or on a floor in a larger one can quickly become a business advantage in workflow and getting the right documents to the right people at the right time with the minimum of effort, cost effectively. Argon offer a wider range of software solutions which can enable greater integration of your MFDs or Printers with other business applications, enabling a wide range of tools from security and authentication to document management and navigation. Argon supply Mail-room equipment from Neopost, including franking machines, folder inserters and other specialist application equipment. We also supply and maintain more traditional equipment such as shredders, binders and laminators from Fellowes, as well as paper and consumables.